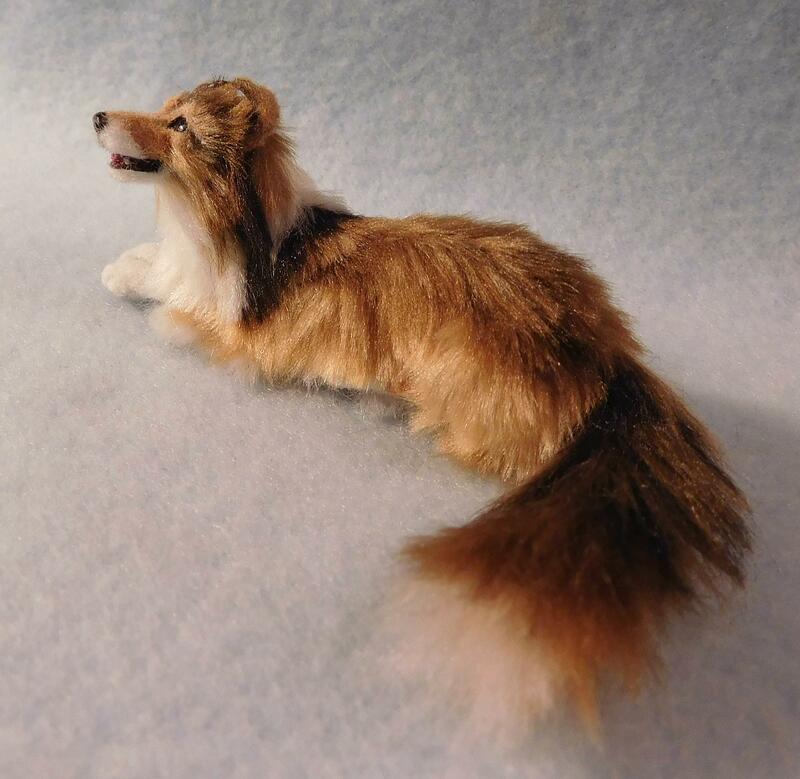 Today I finished this little Sheltie and offering for auction this week! 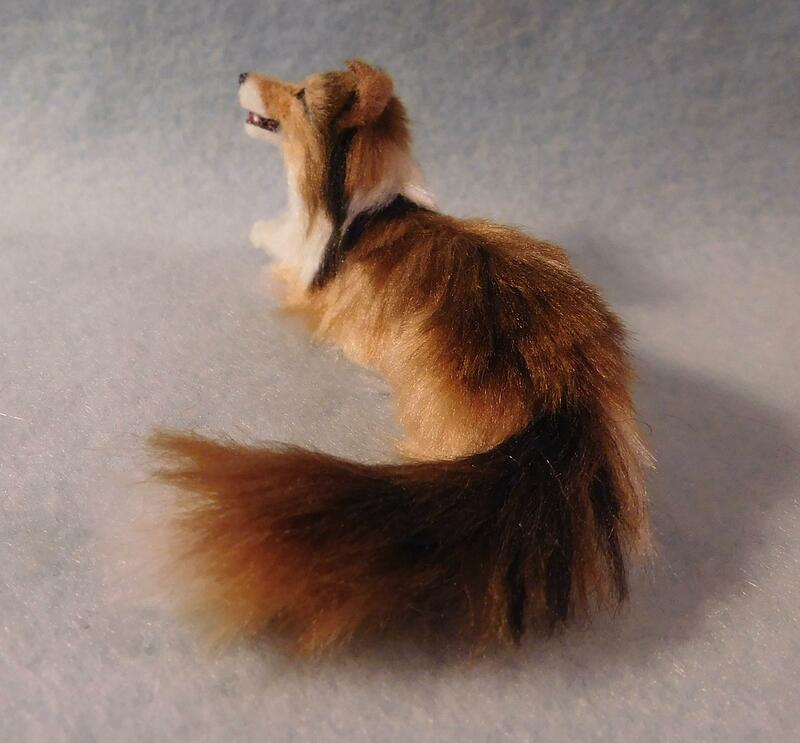 I first carefully sculpted him in polymer clay, painted the tiny details then applied various shades of silk fiber one small layer at a time until I achieved the finished piece. I used just a small amount of pastel on the face to give him depth. 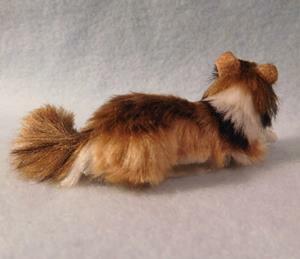 The tail is a double twisted wire and may gently re-positioned. I will email a digitally signed certificate of authenticity that may be verified through the ebsq site. This would make a great addition to your Original dollhouse or Shetland sheepdog collection!